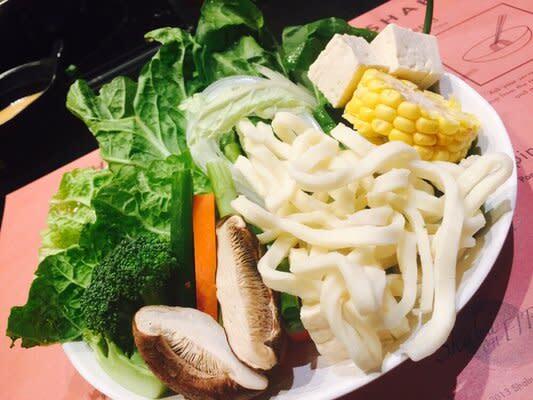 If you’ve never been to a shabu shabu restaurant, then Shabu on Fire’s tagline of “Asian fondue” is likely the best way to describe this do-it-yourself Japanese dish. Upon entering this popular eatery on Main Street in Huntington Beach, you’ll notice countertops with electric grill tops have replaced typical dining tables. After being seated, you’ll receive your very own boiling pot and a choice of broth flavor to which you can add garlic, onions, and other spices. Entrée choices include beef, prime beef, filet mignon, chicken, pork, salmon, shrimp, scallop, mussel pork, or vegetarian and come out in thin slices, which, you guessed it, you cook yourself in the boiling broth. While the meats and seafood may come out raw, Shabu on Fire promises only the highest quality, so fresh in fact that the salmon is sushi grade, meaning you can eat it without cooking. First out of the kitchen is a large plate of vegetables (spinach, cabbage, corn, shiitake mushrooms, broccoli, carrots, and corn.) 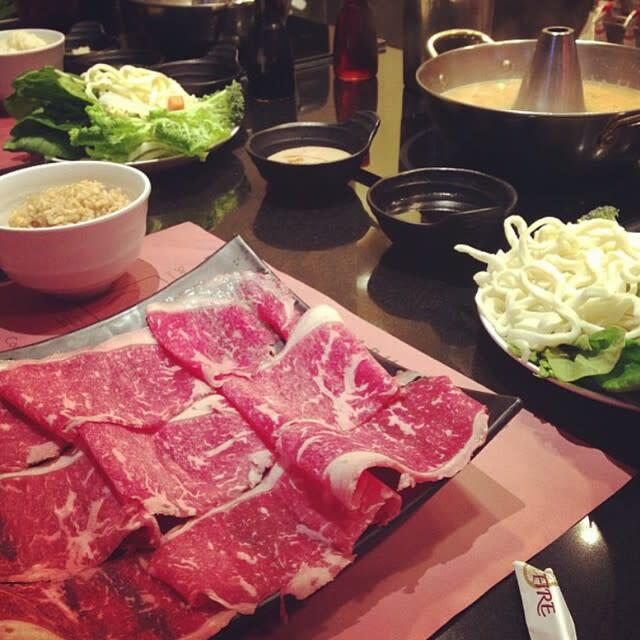 A side of rice and peanut or soy sauce makes for a shabu shabu feast! Pro tip: throw the corn in first to begin cooking as it generally takes the longest! From there, add in your choice of meat and vegetables. 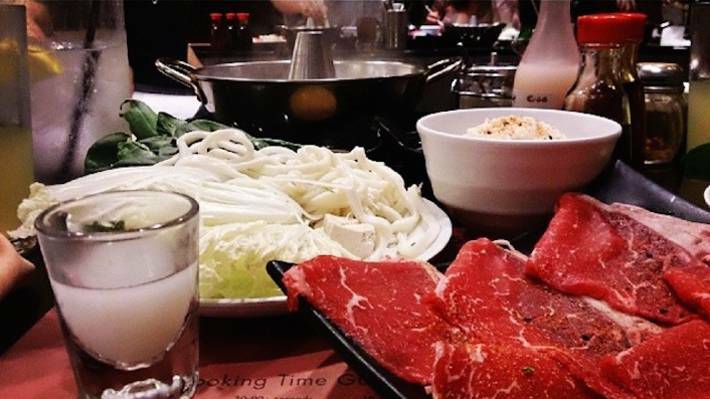 First timers fear not, each placemat offers a step-by-step guide on how to eat shabu shabu as well as a cooking time guide to ensure a perfectly prepared meal. The staff is extremely attentive, accommodating and more than willing to help. 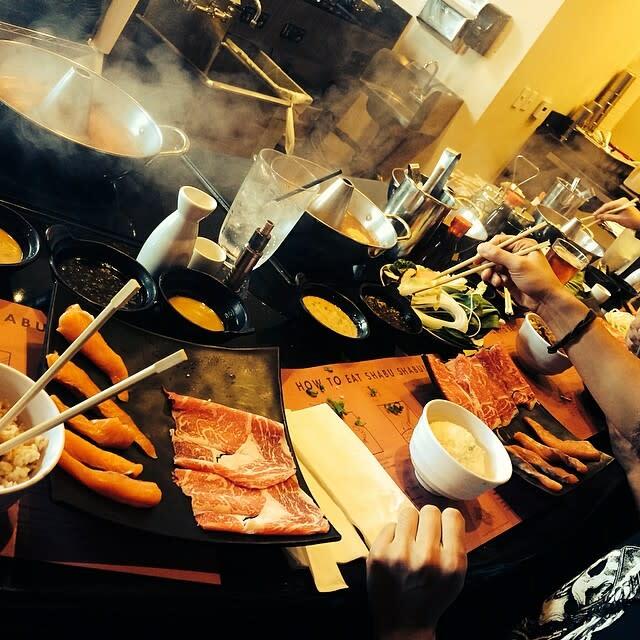 Shabu on Fire certainly saves the best for last, so be sure to leave a little room for their soup. Whatever meats and vegetables remain on your plate is thrown into the broth along with noodles to create a delicious explosion of flavor. If the idea of preparing your own dinner sounds undesirable, Shabu on Fire also offers the entire menu from their neighbor, Sushi on Fire. 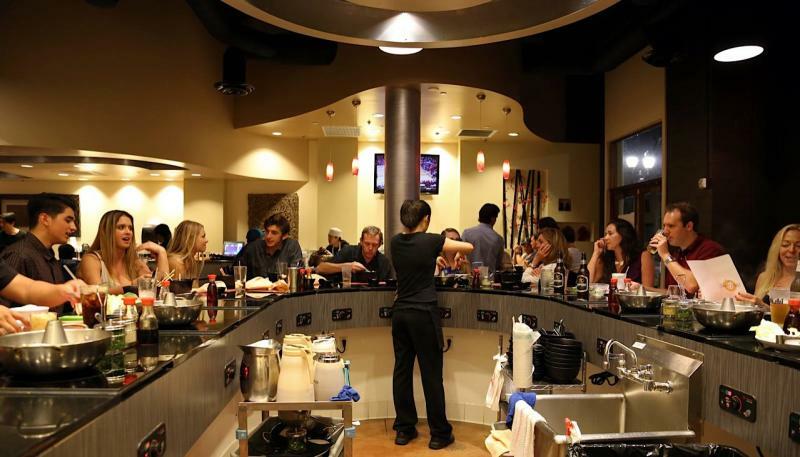 A favorite among locals, Sushi on Fire has an immense sushi menu complete with traditional and unique appetizers, specialty rolls, entrees, and desserts. And of course, what would a trip to Shabu on Fire be without a bottle of sake!